Blueprint showing how government investment in transport will help create the Northern Powerhouse is to be published today. 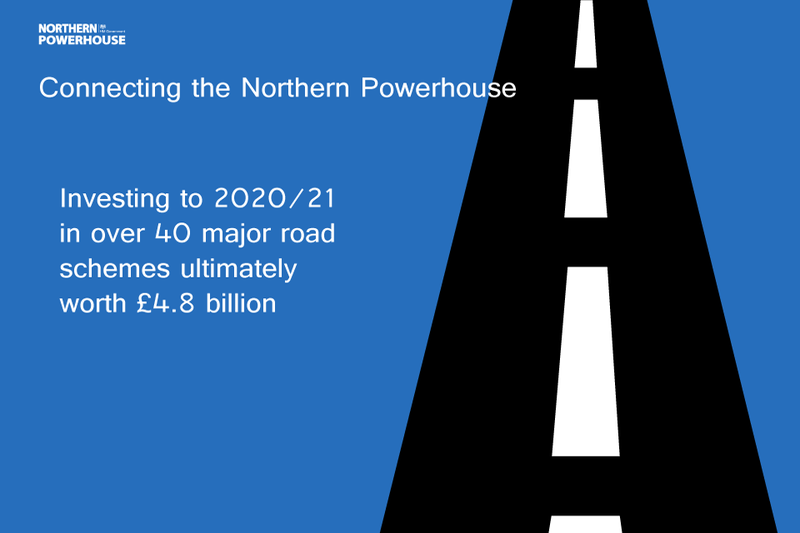 A blueprint for how £13 billion of government investment in transport will help create the Northern Powerhouse will be unveiled today (11 August 2015) as ministers visit major infrastructure projects that are transforming the region. The Northern Powerhouse is a one-nation drive to close the economic gap between north and south by helping the region unleash its full power and create a balanced, healthier economy. 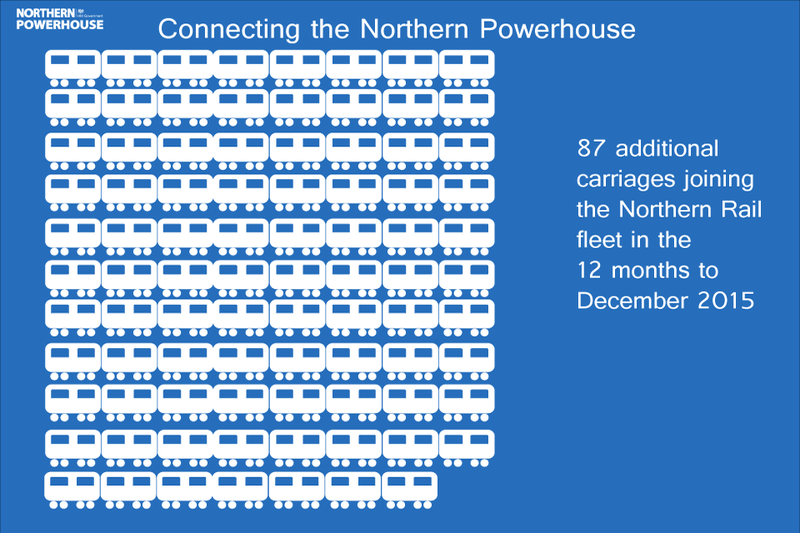 Making transport better by improving the links that bind the north together is integral to this enterprise. It will bring cities and regions closer together and strengthen connections – Liverpool to Hull, the north west to Yorkshire, the north east and the Midlands – making it easier for hard working people and businesses to access markets or deploy their skills. 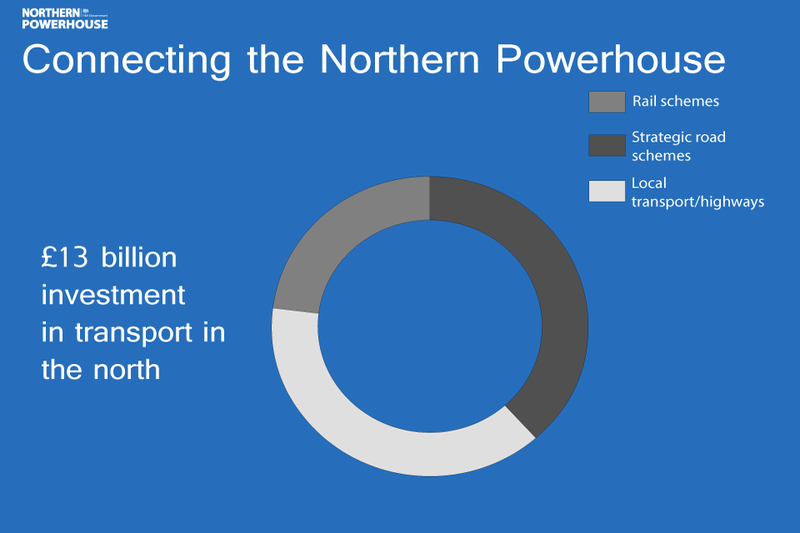 The blueprint shows how transport links across the north are being transformed by government investment. 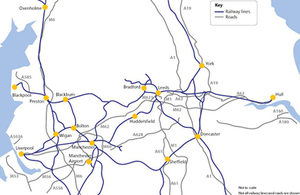 Blueprint for connecting the Northern Powerhouse. The government will also announce an independent review by leading entrepreneur and businesswoman Michelle Mone OBE, to encourage further business start-ups and entrepreneurship in disadvantaged communities, including in the north. This one nation government is determined to close the economic gap between north and south. Investing in transport – something that successive governments have failed to do sufficiently – is vital to making that happen. We had a choice – building the infrastructure our country needs, or letting our transport system become a brake on growth and opportunity. We have chosen to invest for the future. Across the north, that investment is already having a huge impact, with programmes underway to upgrade our railways and our roads. We are determined to keep the momentum going. Investing in first class transport infrastructure is a key part of our commitment to create a Northern Powerhouse. Our investment is helping to better connect the region, building a strong Northern economy, and it is great to see the huge progress already underway. The Transport Secretary will visit the Farnworth Tunnel, where major work has started to provide faster, better journeys between Manchester, Bolton and Preston by the end of 2016. The work involves re-drilling the existing tunnel — using a machine bigger than those used on the Crossrail and Channel Tunnel projects — so that the rail line can be electrified, and faster, greener electric trains can be introduced. The work is part of Network Rail’s north of England programme, an investment of over £1 billion to improve the region’s railways, allowing hundreds more trains to run and providing space for millions more passengers a year. He will then travel to Merseyside, to open the new A5758 Broom’s Cross Road between Thornton and Switch Island. Backed by £14.5 million of DfTfunding, the road will relieve congestion in the area and improve highway access between Southport and the north west motorway system. Roads Minister Andrew Jones will be in the north east on Tuesday to see progress on over £60 million of improvements to the A1 from Coal House to Metro Centre. When completed in 2016, almost 4 miles of the A1 will be widened to 3 lanes, relieving congestion on one of the busiest roads in the country. Andrew Jones is also visiting the A1 in Northumberland to see where a further £291 million will be invested to add capacity, meaning that for the first time there will be a dual carriageway from London to Ellingham, 34 miles north of Newcastle. The projects that ministers will see are among a range of improvements for the region, many of which are already underway. The Prime Minister recently appointed a new Business Advisory Group, including Andy Clarke, CEO of Asda, which is based in Leeds and employs 70,000 people across the north of England. As the leader of a UK business based in Leeds, I understand that creating the right environment for businesses to invest and expand in the north of England is vital to creating a balanced economy. Businesses need the right infrastructure and the confidence that government is supporting, not thwarting, their ambitions. Linking our great cities will help to fuel this engine for growth while creating more jobs and opportunities, and the transport schemes being announced today are welcome progress. The government also announced today the appointment of Michelle MoneOBE, who will conduct an independent review to encourage further business start-ups and entrepreneurship in disadvantaged communities, including in the north. The review will identify the obstacles that people in the most disadvantaged areas face in becoming entrepreneurs, such as the lack of business and social networks and the lack of inspiring role models and mentors. Michelle was raised in a deprived part of Glasgow’s East End and, after leaving school at 15, she founded the Ultimo business in her twenties. She has been asked to draw on her own experiences of setting up and running her own successful businesses for a review that will make recommendations to Work and Pensions Secretary Iain Duncan Smith and Business Secretary Sajid Javid in 2016.